Rutgers Athletic Center (RAC), Livingston Campus. 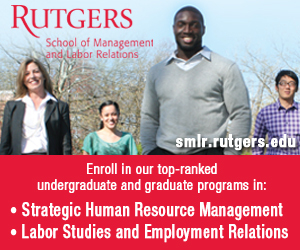 ■ Rutgers sponsors 24 intercollegiate athletics programs and educates approximately 650 student-athletes. ■ College football was born here in 1869 when Rutgers defeated Princeton 6-4. College football has since grown to be the third most popular sport in the U.S., behind professional football and major league baseball. ■ Rutgers officially became a member of the Big Ten, the nation’s premier athletic and academic conference, on July 1, 2014. Each year more than 11 million patrons attend Big Ten home contests as the conference leads the nation in attendance for men’s basketball, volleyball, and wrestling. ■ Patrick Hobbs was named the new Director of Athletics on November 29, 2015 after notable achievements at Seton Hall University. He served as dean at the Seton Hall School of Law from 1999 to 2015 and oversaw the Department of Athletics for the Pirates from 2009 to 2011. ■ Rutgers has been competing in collegiate football for 147 years and has appeared in a postseason bowl game in nine of the past 12 seasons. ■ Chris Ash, co-defensive coordinator on the Ohio State staff that won the 2014 National Championship, was named the 30th head coach in Rutgers’ history on December 7, 2015. Ash brings over two decades of collegiate coaching experience, including five years in the Big Ten Conference with four Big Ten championships. ■ Steve Pikiell enters his second season as the men’s basketball coach, and Naismith Hall of Face inductee Vivian Stringer directs the women’s program. ■ Steve Pikiell has 25 years of coaching experience and led Rutgers to its first Big Ten Tournament victory in 2017. ■ A bestselling author denoted as one of the most influential minorities in sports by Sports Illustrated, Vivian Stringer is the first coach in men’s or women’s basketball history to take three different schools to the Final Four. ■ Rutgers was the only university in 2016-17 to have its women’s soccer, wrestling, and men’s lacrosse programs all nationally ranked. ■ Women’s soccer, coming off an appearance in the 2016 College Cup, finished the year at No. 25, advanced to its second Big Ten Championship game and punched a ticket to its fifth NCAA Tournament in a row. ■ Wrestling closed last season with two All-Americans, seven national qualifiers and finished tied for 12th in the final USA Today/NWCA Coaches Poll with an undefeated 6-0 mark at home. ■ Men’s lacrosse, coming off back-to-back double-digit win seasons for the first time in program history, became the first Rutgers team in over 20 years to be ranked number one in the nation and defeated four ranked teams, including No. 3 ranked and eventual NCAA finalist Ohio State. ■ Twenty-four student athletes earned All-Big Ten accolades in 2016-17. ■ Rutgers had 205 student-athletes recognized as Academic All-Big Ten in 2016-17. In the most recent Academic Progress Rate (APR) report, Rutgers posted a 990, nine points above the NCAA average. ■ Rutgers student-athletes performed more than 4,800 hours of community service in 2016-17. ■ In 2016-17, Rutgers had 286 games/competitions televised or streamed, including 88 televised on national linear networks.